If you’re like me, dinner time is a struggle. Will, our three kids, and I all get home around the same time. And we are all crabby. I mean, who wouldn’t be crabby after long day at work or school? And add being hangry on top of that? Five cranky people, I can not deal with. I’ve learned a few things over the years, and one of those things is that distractions work with kids. 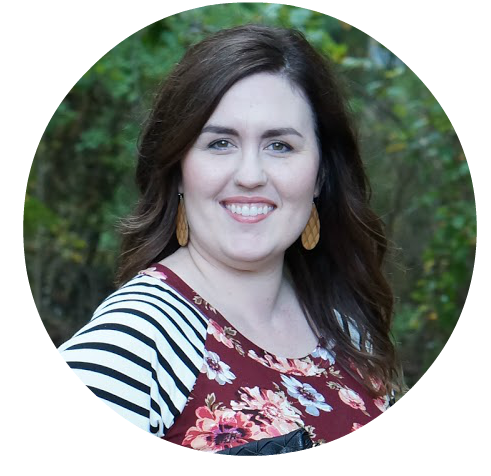 If the kids are waiting for me to make dinner, it’s a really great idea to have one or two activities for them to do while I’m in the kitchen. Now, granted, I can get dinner on the table lickety-split (and I’ll share my little secret for that later), but I keep these sensory bottles on hand in the kitchen for those crazy moments when I just need to concentrate on dinner. 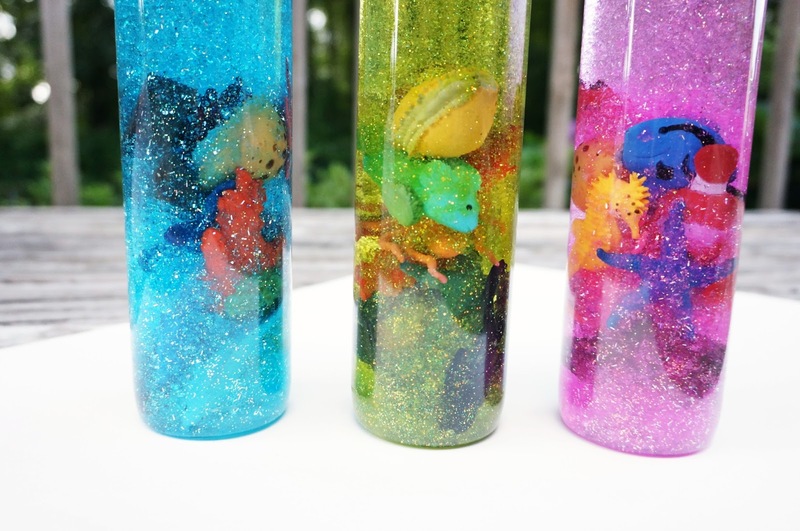 Since the new Disney’s Pixar Finding Dory movie is coming out soon, I’ve made some new sensory bottles in a coral reef theme. How fun is this? My kids are excited about it, so they’ve been eager to play with these. 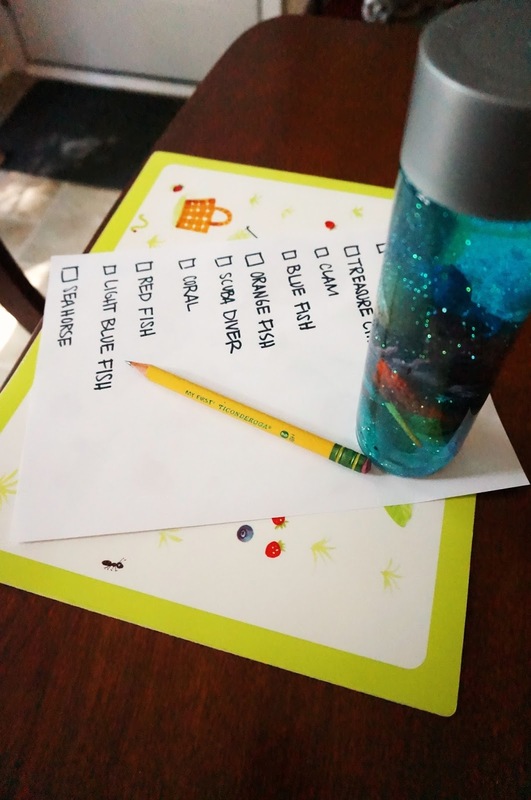 I’m going to share step by step directions for making them, and then I’ll share how I race to get dinner on the table before they can find all the objects in the bottles! The ingredients are very simple. 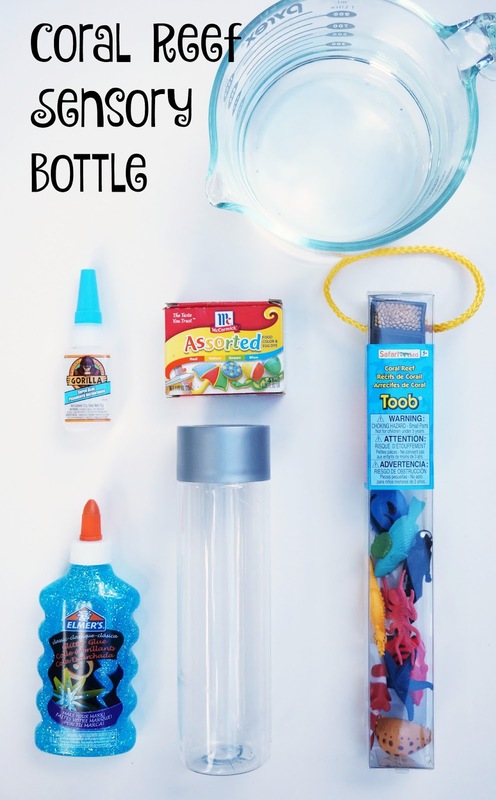 You will need one empty water bottle (a 16.9 ounce bottle works nicely), an entire bottle of glitter glue, some food coloring, a bunch of fun toys (I had 11 in total), water, and super glue. 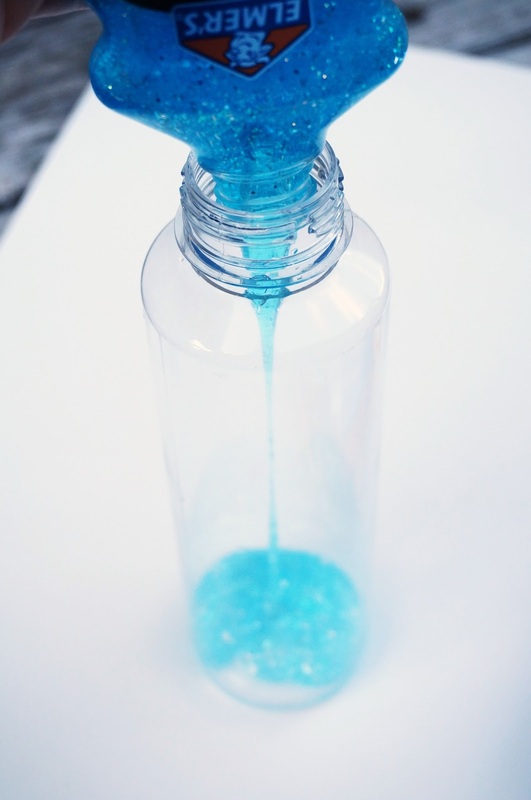 First, empty the glitter glue into the water bottle. Then, pop all the toys into the bottle. I had to wiggle a few of the toys to get them in the bottle, so keep that in mind when you’re selecting what goes in the bottle. When all of the toys are in the water bottle, fill it with water. I filled it to bottom of the threads on the neck of the water bottle. 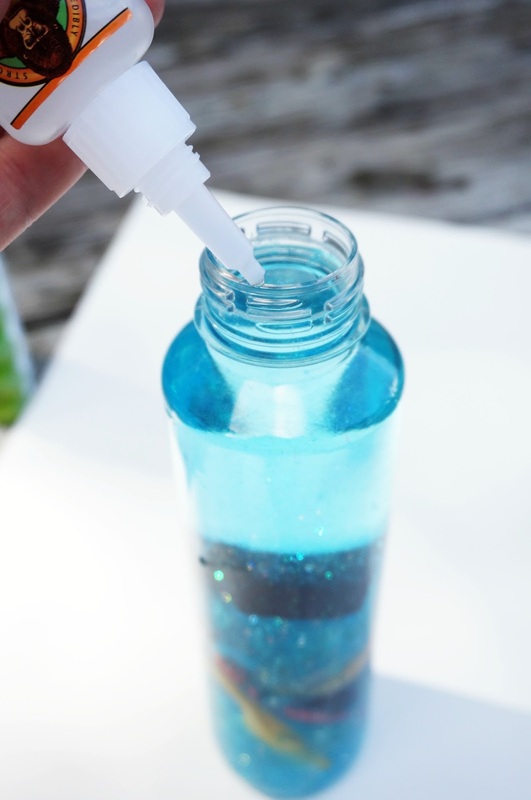 At this step, you can add some food coloring to darken the color of the glitter glue. I had planned to add more blue to make the water look like a deep ocean. I was happy with the bright blue color, so I left the food coloring out this time. 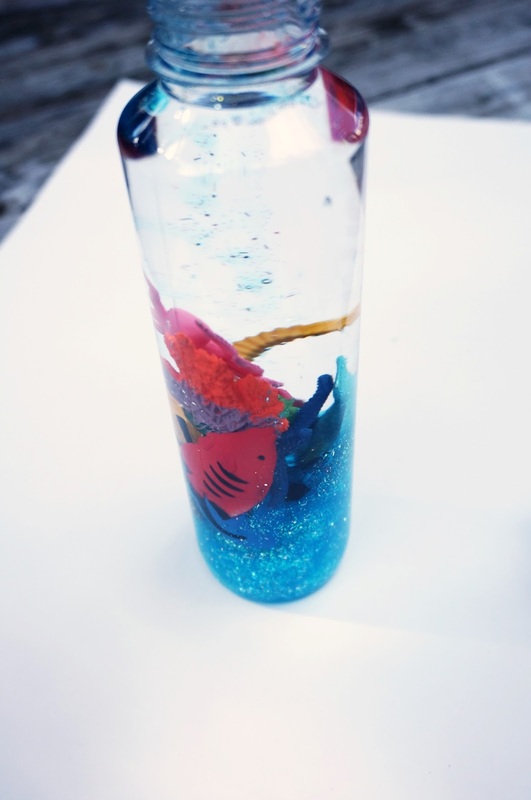 Next, apply some super glue to the top of the water bottle, twist on the cap, and leave it for a minute to dry. Lastly, shake it up and watch the glitter and toys swirl! Next, this is how I get dinner on the table quickly. Wednesday nights have always been soup and sandwich night for our family. I can’t remember exactly when we started it, but it’s become a tradition. I’ve been excited about this meal for a while, because if there’s one way to get me excited it’s by making a themed meal. At Target, I picked up the Campbell Soup featuring Disney/Pixar’s Finding Dory, Goldfish® Special Edition! Cheddar Disney Pixar’s Finding Dory Crackers, and fish shaped cookie cutter. When you’re looking for the soup, keep an eye out for the characters on the front. They have three rotating labels, featuring Dory, Nemo, and Hank! You can get 20% off the Goldfish® Special Edition! 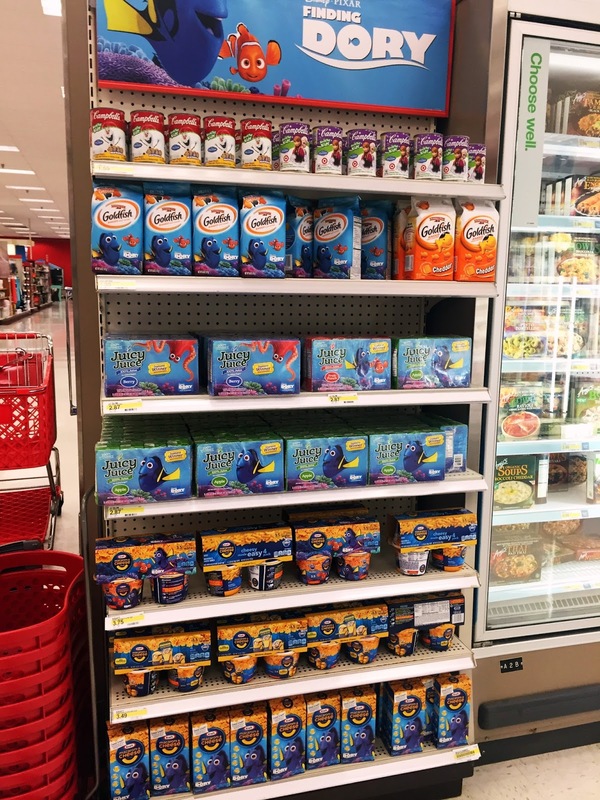 Cheddar Disney Pixar’s Finding Dory Crackers and 10% off the Campbell Soup featuring Disney/Pixar’s Finding Dory with Target’s Cartwheel app. 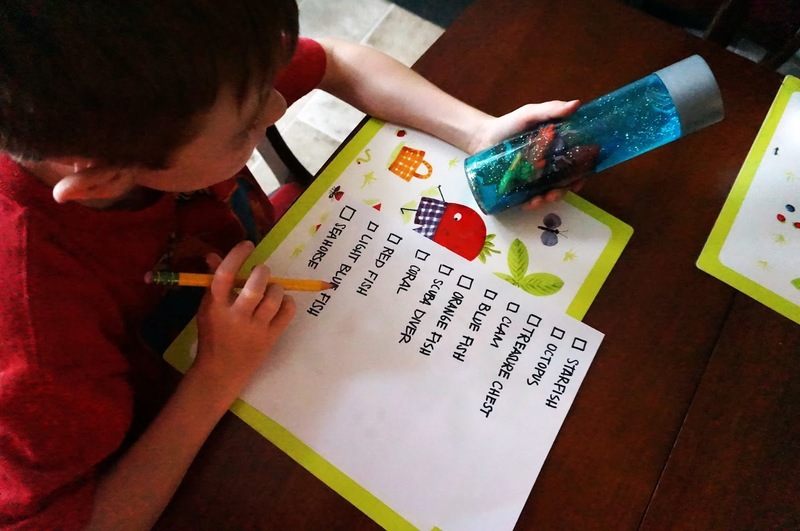 While the kids are busy finding the coral reef objects in their sensory bottles, I am busy stirring the soup on the stove, making grilled cheese sandwiches and cutting them out with the fish cookie cutter, and getting the sides together. For sides, I decided on little oranges and the Goldfish® Special Edition! Cheddar Disney Pixar’s Finding Dory Crackers. And I have to say, I am very happy with the unintentional blue/orange color scheme. 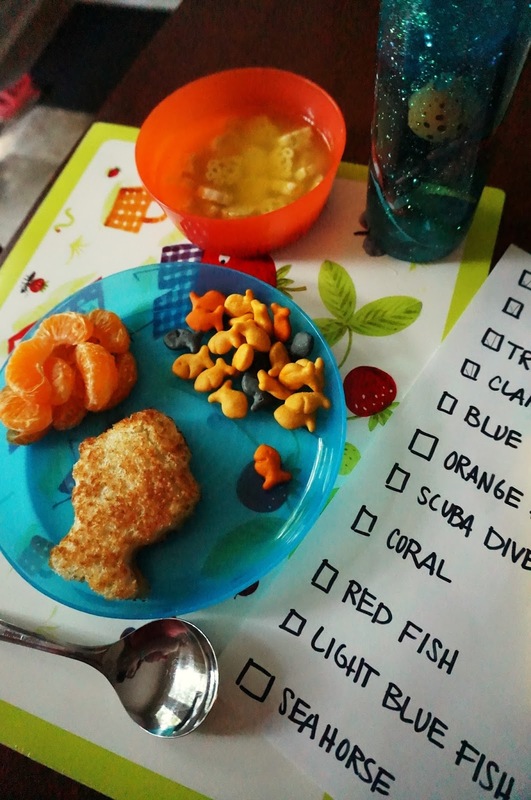 The kids love the Goldfish® Special Edition! 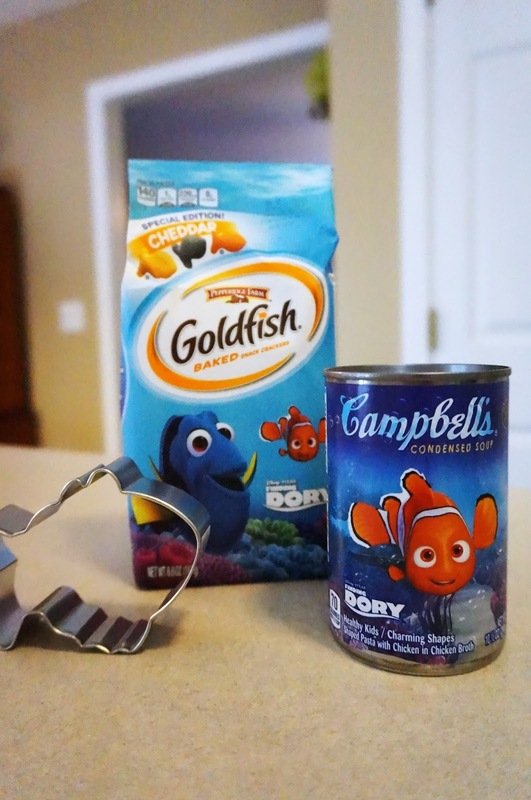 Cheddar Disney Pixar’s Finding Dory Crackers paired with the Campbell Soup featuring Disney/Pixar’s Finding Dory, and I’m also satisfied with how quickly it took me to get this on the table!